Stay hydrated — stay healthy. Staying hydrated is essential to good health. More than sixty percent of the human body is comprised of water. Fluids flush bacteria from your bladder and carry nutrients to your cells. The bottom line, we need to drink water to stay healthy. It sounds so simple, but not so, especially for older adults. As we age, it becomes more difficult to stay hydrated for a number of reasons. Our sense of thirst decreases, so we don’t feel thirsty. We take more medicine — diuretics, blood pressure medications, etc. — that can make us sweat or urinate more often. We suffer from more chronic diseases. Our kidney function naturally declines and our bodies retain less fluid. We are not as mobile are at a higher risk for falls or may find it difficult to get around. Considering all of these factors, it’s not surprising that dehydration is one of the most frequent causes for hospitalization in older adults ages 65 years and older. Mild dehydration can be easily treated, but if dehydration becomes severe, it can be life-threatening. Here are a few of the common signs and symptoms of mild and severe dehydration. The best way to prevent dehydration is to drink enough water and eat foods high in fluid content to keep your body functioning properly. According to the Mayo Clinic, how much water you need to drink depends on many factors — your health, where you live, how active you are. Consult with your doctor first, but a good rule of thumb is to drink eight glasses of water every day. 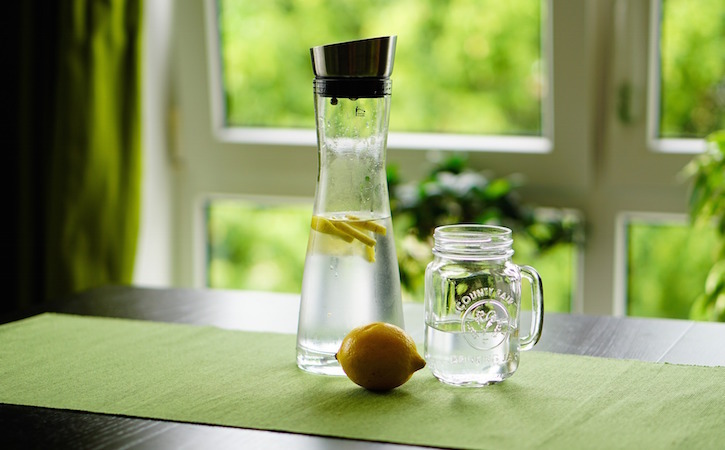 Fluid intake is key to staying hydrated and the best hydrating fluid is water; however, you don’t have to drink only plain water to stay hydrated. Other beverages — fruit juices, tea and coffee — are a suitable source. Or, you can eat your water! Up your water intake with fruits and vegetables. Cucumbers, strawberries, watermelon, butternut squash and salad greens — just to name a few — are packed with water and healthy nutrients that help you stay hydrated. Nobody knows you better than yourself. If you feel tired or dizzy, reach for a glass of water or a bowl of watermelon.